← (60% Off IPL Code Also Added) Swiggy Promo Code : 30% Off Upto Rs.60 For All + 10% Extra For Super Members + Amazon Cashback Offer. 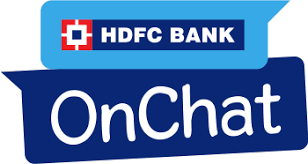 1 [For All Bank] HDFC Onchat Bill Payment Offer. 1.2 Get Flat Rs.50 cashback on each successful Referral Signup of your friend. Get Flat Rs.50 cashback on each successful Referral Signup of your friend. 1st Install Facebook Messenger From Playstore CLICK HERE , Login Your Facebook Account In It Then click On Above Link. Go to HDFC Bank OnChat. The cashback will be credited within 2 hours on each successful referral signup of your friend. Offer 1: Get Flat Rs.50 cashback on each successful Referral Signup of your friend. Flat Rs. 50 Cashback on each successful Referral Signup of your friend. Referred user should have a valid Facebook Profile. HDFC Bank &Niki will be the final decision makers in case of discrepancy. Maximum Points: A user can collect maximum 300 Cashback points through referrals. HDFC Bank may change the offer terms and conditions or withdraw any cashback at any time without prior intimation. Referral credits from previous campaigns will not be considered in this campaign’s limit. Guyssss! its a verified offer. Got my bucks for the day from itt! Suggesting Y’all to try it out. Once your referral signsup you will be notified with your credit via SMS and whats more you can also check the referral balance on your account. By typing on chat ” My Referral Bonus”. Please make a post combining all recharge offers, all bill payment offers. Use Old Facebook Account With Some Friends. Don’t Use Newly Created Facebook Account.